Yeoal's Blogzine™| Nigerian Urban, Gossip and Entertainment Site: Lupita Nyong'o dumps K'naan .......Moves on to Jared Leto? 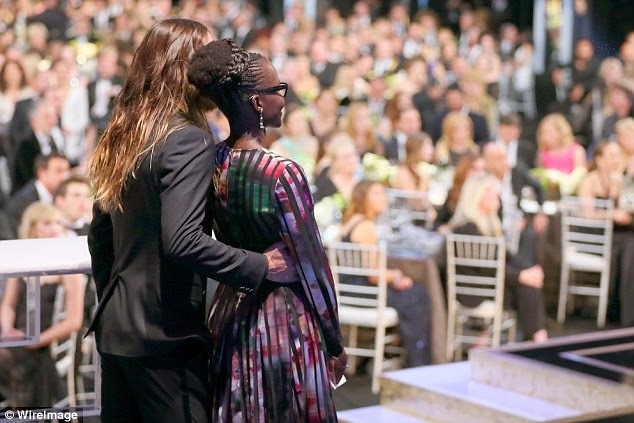 Lupita Nyong'o dumps K'naan .......Moves on to Jared Leto? Word has it that Oscar award winning actress Lupita Nyong'O has allegedly dumped Somalian born, American rapper, K'naan. A source confirms to Us that Nyong'o is single after splitting from her rapper boyfriend K'naan. The insider close to Nyong'o tells Us that the 12 Years a Slave actress was the one to break off her relationship from K'naan. Their split happened last year, the source adds. It seems the actress has moved on though. Word has it that she might be dating singer/actor, Jared Leto. The pair were spotted being preety cosy at this year's SAG awards. The actor, has openly declared his admiration for the actress in the past.